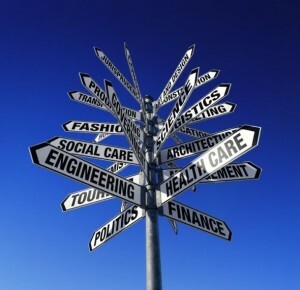 Choosing a College: Whatâ€™s Your Recipe? There is a recipe for success. 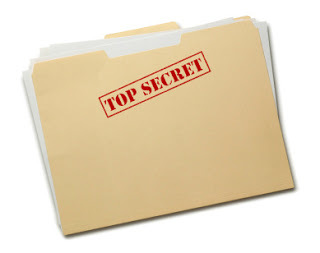 It is top-secret, completely secure â€¦ and entirely hidden from prying human eyes. Even those that have made it all the way to the top can’t express in words exactly how they’ve turned straw into gold. How they’ve turned an apartment-based operation into a multi-million dollar company. How they’ve turned a simple idea into an icon. Or even how they’ve gone from secretary to CEO. They can guess. They can assume. They can ponder. But no one knows this recipe, the ingredients involved, or the directions for preparation. Beyond the super minds of the world like Bill Gates or Mark Zuckerberg, or the movie stars like Reese Witherspoon and Angelina Jolie, most successful people will tell you their success started from somewhere. In many cases, that somewhere is college. Ah, yes, the institution of higher education that, by nearly all social, logical, and statistical data, leads to a better life. Regardless of the controversy today surrounding student debt, student loans, and high unemployment rate of college grads, for those that pursue worthwhile degrees, what does make success? Why is it that some people end up having their shoes shined and some do the shoe shining? All the best equations and best success calculators say that it’s you. You’re the one that paves your own way. You’re the one that brands your name into the fecund earth. And while all that may be true, college gives you a head start on that branding. The real question than is which college can give you the most bang for your buck? Blogger Natalie K., a high school junior from Colorado, will be sharing some of the issues teens today face with YALSAblog readers…if you’re a young person who would like to write for the YALSAblog,‘ let us know! As a junior in high school, I am constantly hearing college jargon: â€œscholarshipsâ€, â€œacceptedâ€, â€œdeclinedâ€, â€œin-stateâ€, â€œout-of-stateâ€. Say any one of these words to someone in my grade, and they will instantly have loads to say. But ask my peers about a path after high school separate from college, and their lips will go still. A large part of society today views college as the one and only option. It is as if it is the solitary key to unlocking a bright future. What society fails to realize is that there are other keys. There’s the jagged, brass vocational key. ‘ There’s the shiny, silver military key. There’s the bronzed apprenticeship key. And there’s even the sharp, copper job key. Realizing that there are other options out there besides college will be a large step in moving away from America’s steep descent into debt. Youth aged 18-23 can make a contribution to society, rather than spiraling downward with college debt with expensive loans and a degree they can’t put to practical use after four years. Ultimately, the door to the future fits all kinds of keys: Jagged, silver. Copper, bronze. Expensive, inexpensive. In-state, out-of-state. The real question for teens is: what will your key be?